Michael Harding’s Dammar Varnish is manufactured with the highest quality dammar resin from Thailand. This resin is dissolved in double-rectified Portuguese Maritime Turpentine and is carefully filtered. It is used as a final picture varnish and creates a subtle gloss finish. This varnish should only be applied to thoroughly dried oil paint that has had a minimum of six months minimum of drying time. 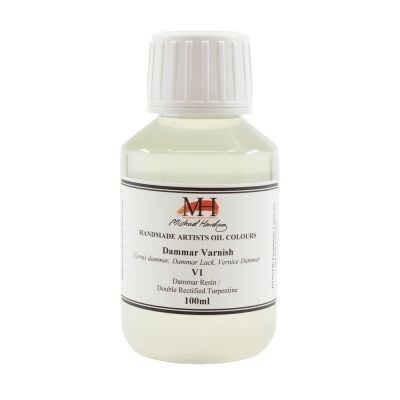 If you wish to apply this varnish to thick paint, allow your painting to dry for a year.